Flannels are probably one of my favorite things to wear during winter. I wear them by themselves, with vests, as a jacket for light winter winds & basically anytime I can. They can be used for multiple different things & you can also keep them around for multiple seasons. 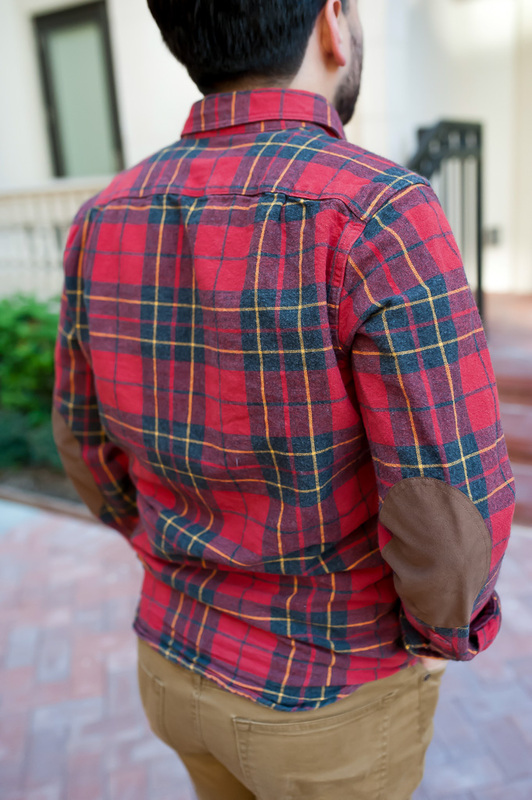 If you don't have a flannel I think the perfect one to start with is the classic the red-and-black buffalo plaid flannel. Yes, you may look like a lumberjack but it's great. It's a staple for any flannel lovers collection. One reason I love flannels is the creativity you can have with them. They come in so many different colors & can be used as the focal point of your attire or a nice layering piece to bring it all together! For example, the one reason I love the flannel in the picture the elbow pad detail! I can't tell you how many times someone mentions it or asks where I got it! I linked it below with other flannels & they are all on sale! I hope your Sunday was filled with a ton of rest and preparation for Monday!